Barcelona is ready to make a final move for Manchester United midfielder Paul Pogba with Ivan Rakitic and Ousmane Dembele as bait to entice the Red Devils. According to reports from the Daily Express, the Catalans believe that United will accept an offer for Pogba if it includes both Rakitic as a replacement for the French star and Dembele as a potential replacement for Anthony Martial who has been linked with a move away from Old Trafford. Barcelona has stepped up their pursuit of Paul Pogba over the last few days and has already had a bid involving Yerry Mina and Andre Gomes plus €50 million turned down out of hand by United. The bid is said to have angered both Jose Mourinho and Ed Woodward who are unhappy that the Catalans are trying to unsettle Pogba so close to the transfer deadline. However, the Red Devils have also reportedly shown interest in Ousmane Dembele who has been heavily linked with a move to Arsenal all season. The young French star is facing tough competition from new arrival Malcom and may seek first team football elsewhere this season. Ivan Rakitic is also facing competition for his place in the Barcelona starting lineup due to the arrival of Arturo Vidal. With less than 24 hours remaining in the English transfer window, Manchester United will not want too much movement which could unsettle the squad ahead of the new season. However, with reports of Pogba wanting to move this reported proposal by Barcelona could offer an ideal solution with two world-class players coming to Old Trafford. In particular, Rakitic would provide a direct replacement for Pogba in United's midfield. This story has been reported in many media outlets, but it is a huge transfer to try and complete before 5 pm GMT on Thursday. 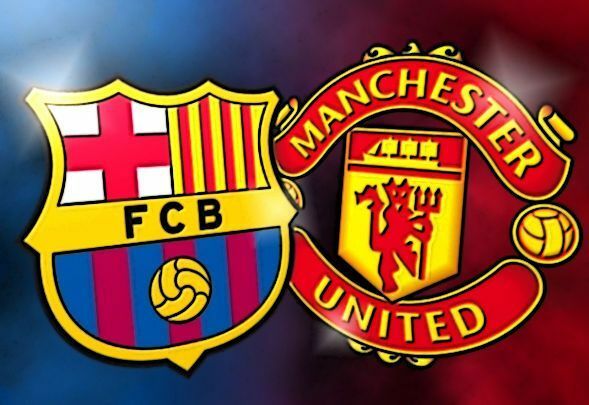 While it is well-documented that Barcelona are desperate to get Pogba on their books, the swap deal would need to please both Rakitic and Dembele who would need to agree on personal terms with United and be willing to move to Old Trafford. While the English transfer window closes on Thursday, the Spanish transfer window will remain open until the end of August. This could present a situation where a deal is quickly put in place to get Rakitic and Dembele to Old Trafford before the Premier League deadline day while moving slower on the transfer of Pogba. We will know for certain within the next 24 hours how this rumor will pan out.